Carbon deposits influence the performance of your engine. Removal of the deposits can improve overall performance and restore original bhp. Essentially by taking a vehicle back to its level of cleanliness not long after being new, the efficiency and performance are improved. Respected motoring journalist and presenter Quentin Willson reported a 14% improvement in MPG in his Sunday Mirror column! This makes Terraclean the perfect companion for companies running fleets of vehicles. The West Midlands Ambulance NHS Foundation Trust has introduced Terraclean engine cleaning technology as a preventative maintenance measure across its fleet. Click here to read an article in the Fleet Industry News. The unique Terraclean advanced cleaning system removes most carbon deposits from your engine, drastically reducing your emissions. How does a Terraclean work? 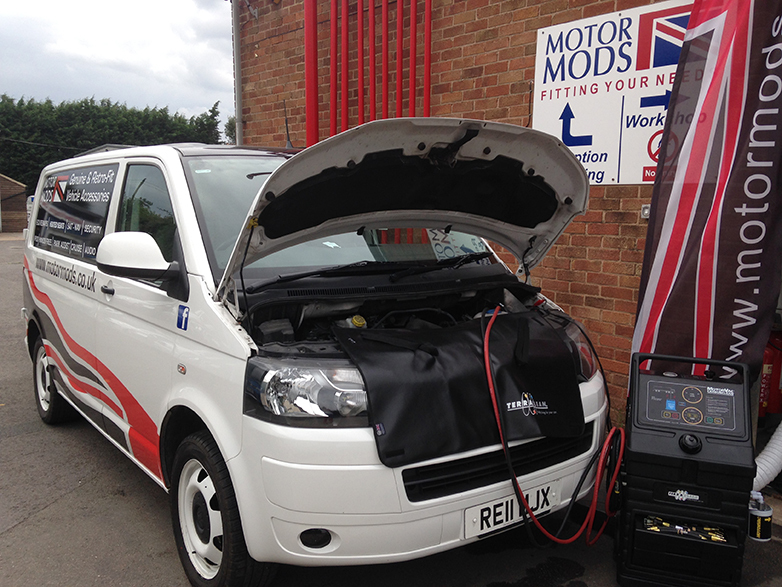 We link your vehicle to one of our TerraClean machines (either Petrol or Diesel). The machine will take over as the fuel supply for the vehicle and uses a highly refined, none harmful fuel coupled with the patented technology of the equipment to remove the build up of carbon from your vehicle. We also have other TerraClean equipment which can clean and unblock EGR and DPF removing the need for expensive replacement. A standard TerraClean will clean through both the vehicles EGR and DPF if there is airflow through these units. BUT, a standard TerraClean service is not designed to unblock these components. We have a specific DPF and EGR cleaning tool which will clean and unblock DPF and EGR. This is designed to remove carbon deposits from the EGR and intake systems, exhaust systems and turbo chargers. It also improves DPF operation and efficeincy therefore restoring performance and fuel economy. We also have a pressurised induction tool to clean direct injection engines which are particularly susceptible to carbon build ups on the backs of the intake valves and can be costly to replace. Please contact us for prices and further information or pop in for a chat.